Stay at this Carpinteria, California hotel and enjoy the scenic countryside and the world's safest beaches. The Best Western Plus Carpinteria Inn is conveniently located with easy access to key area attractions and business locations. After a day at Carpinteria's exciting polo matches, a morning exploring historic sites and scenic countryside, or a great shopping expedition, guests can return to the casual elegance of this Carpinteria Hotel to relax by the pool or in the lush tropical courtyard. Hotel guests will appreciate the on-site restaurant and the variety of nearby dining and shopping options available along the water front. Each well-appointed room features free high-speed Internet access, refrigerator, cable satellite television, free long distance access, coffee/tea maker and more. Suites with kitchenettes and other upgraded amenities are available in select rooms. Other convenient hotel amenities include banquet services, an exercise facility and laundry services. Warm western hospitality is extended by a friendly multilingual staff that will assist guests with every need. 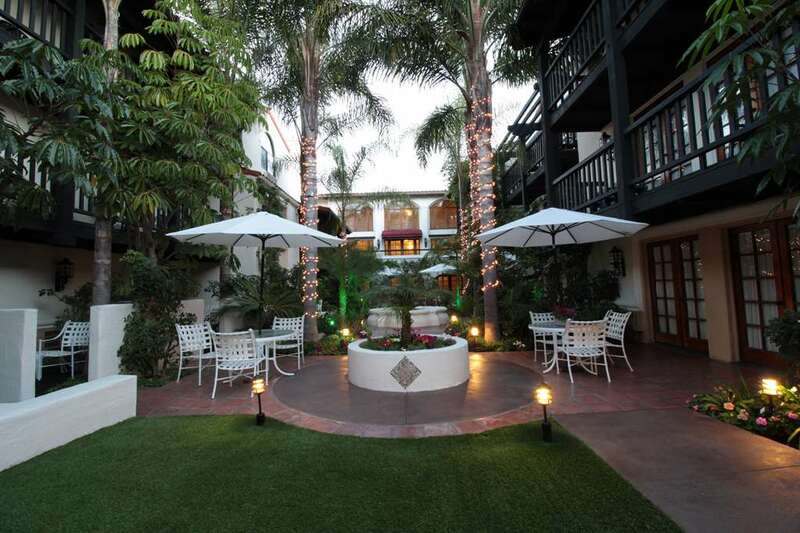 Make an online reservation today and save at this Carpinteria hotel! Enjoy your stay. From: the North. Take Interstate 101 south and exit at Reynolds and proceed down the off ramp. Make a right onto Carpinteria Avenue. The Best Western Plus Carpinteria Inn is on your right. From: the South Exit Santa Monica Blvd. and turn right. Take the next right on Santa Ynez Ave. and the Best Western Carpinteria Inn will be on your left.